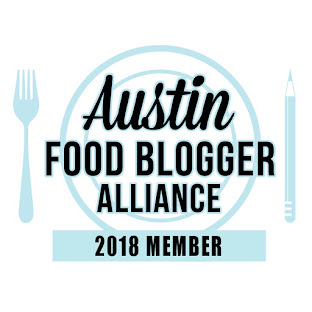 A fellow local blogger and Tweeter, Foodie is the New Forty, had recently posted pictures of her lunch at Thanh Nhi, a Vietnamese place up on Lamar, just before Rundberg. Not my normal stomping grounds, but I had to run an errand up that way, so why waste a trip? Must admit I pretty much had exactly what my blogger friend had. 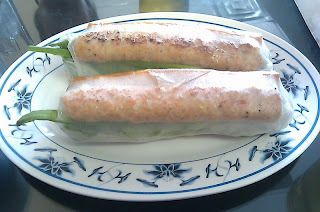 We started with an order of pork paste spring rolls. 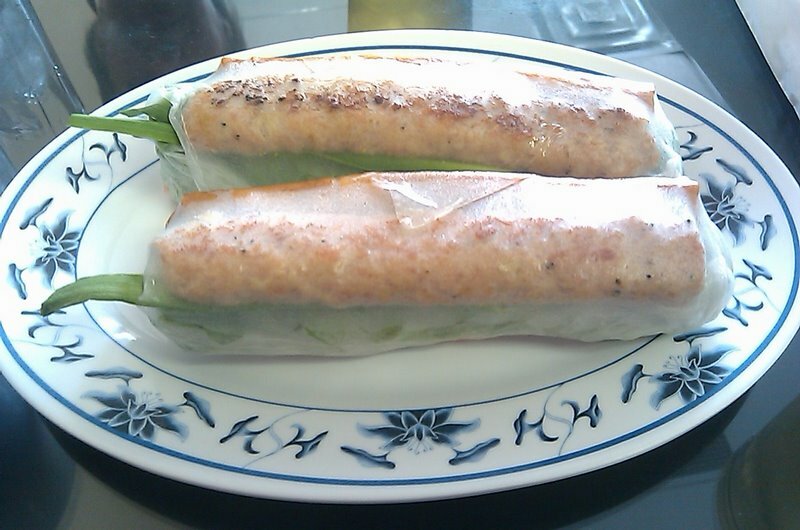 So a long, grilled piece of pork paste (I'll liken it to a pate), and a crunchy cigar-like thing, that I'll guess is a tightly rolled eggroll wrapper that's fried; lettuce, and lots of mint. Fabulous flavor and especially the texture! I loved the crunchy part! These were served with a peanut sauce that I'd deem okay, but nothing special. The little green onion tails sticking out the ends must be either their signature way of making them, or simply, how it's done. And then the $3.49 grilled pork bahn mi. I was very tempted by the pork SKIN bahn mi, and I tried asking the very nice waitress about it, but our languages didn't quite connect. So in the front of the picture is the grilled pork one, and the back is the pork paste. The pork was very nice, though not quite as char-grilled as I like my pork; great assortment of fresh cilantro, jalapenos, cucumber and a few carrots on it. The French bread had a nice crust, but it was still a soft bread to chew, didn't tear up the roof of your mouth. I can't believe this thing is only $3.49!!! Got to be one of the best deals in town! 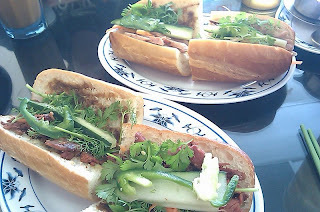 So for two people -- one app, two bahn mis, and two Vietnamese coffees, it was $16. They had some nice looking noodle bowls on the menu, and there were some Vietnamese people getting take out. All in all it was a bargain meal that was fresh and flavorful. 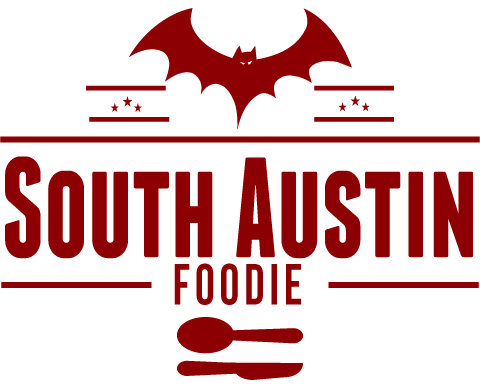 When Foodie is the New Forty posted about Thanh Nhi last week, I looked at their web page which had limited info, but still had info. Looks like that site has just expired, so if you want to go, they're located at 9200 North Lamar, on the west side. SO glad you enjoyed this place! I also really like their combination banh mi (forget what exactly it's called, but I think it's the first one on the menu). Have yet to branch out to their noodle bowls and stuff, as I'm always wooed by the banh mi!